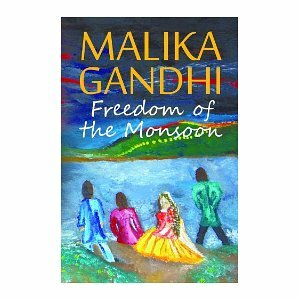 Malika Gandhi, author of Freedom of the Monsoon, is a writer who’s chosen the indie route after being denied the traditional route. She talks about her book and all the work she did to learn how to self-publish the right way. 1. Pretend for a moment I’m a reader looking for my next book. Pitch me your book in five to ten sentences. Ever wondered what your life would be like if it was suddenly turned around by one thought, one action? Ever thought you were safe? Ever sacrificed in honor of your country? 1942 saw the beginning of an Indian ‘war’ against the British Raj as Mohandas Karamchand Gandhi’s cry of Quit India was felt across the subcontinent of India. Meet Rakesh, Dev, Pooja, Amit and Sunil; five individuals with their own story to tell. Read how they fought, sacrificed and hoped for a ‘Free India’ as they struggled against the horrendous happenings of the Independence Era. 2. What motivated you to become an indie writer? Have you been traditionally published? Why or why not? Like so many, I tried the traditional channel of becoming published and like so many, my manuscript was declined as the clientele lists of the publishers and literary agents were full and couldn’t possibly take on any more. Taking a step back I reflected on what to do – keep trying to have my manuscript accepted or try self-publishing? My editor, John Hudspith (see his website, kimissecret.wordpress.com), pointed out the benefits of going down the indie route. The more I researched into this, the more I became convinced to try this. Becoming an indie writer was like a breath of fresh air which gave me the opportunity to have my book published far quicker than going through the traditional route. 3. How have you liked self-publishing so far? I find self-publishing exciting. It is a beautiful journey into one’s creative ability. It is hard work but which comes with self-satisfaction. 4. Tell me about the marketing techniques you’ve used to sell your books. Which ones have been the most successful? Being an indie writer is new to me and I am still learning the ropes. My book is out as a paperback and as an e-book. My marketing techniques consist mainly of word of mouth and social networking sites such as Facebook, Twitter, LinkedIn and community forums of various sites like YouWriteOn and Amazon. I’ve had a good response from Facebook and where I go, people are keen to talk about my book. It’s a good feeling! I am currently working on acquiring more exposure from the Twitter and LinkedIn sites, which I have recently joined. 5. Are there any marketing techniques you intentionally avoided or discontinued, and if so, why? I intend to work through all aspects of marketing. So far I have not avoided or discontinued any techniques. 6. What’s the most important thing you’ve learned about self-publishing that you didn’t know when you started out? I suggest always have your work seen by a professional editor who will make sure it is ‘up to scratch’ and ready to be released in book form. Even though I edited my work initially, I failed to see many mistakes and that is when and where an editor becomes important. Self-publishing is a process from completing your work to publication and is a learning journey. The most important thing about self-publishing that I learned is that you cannot be shy and if you need help, don’t be afraid to ask for it. 7. If you could do one thing differently in publishing your books, what would it be? I believe I have worked within the rules of self-publishing. I did my homework: found a niche in the market, wrote the book, had it edited, designed the artwork for the cover myself and hired a cover designer to have it converted into a book cover and finally submitted my work for publication. Any queries or doubts, I questioned and received acceptable answers. I wouldn’t do anything different. 8. Independent authors face the obvious challenge of marketing their books without the resources of traditional publishers. What advice do you have for an indie author just starting out? Self-publishing is an attractive alternative to traditional publishing. Be determined to reach your goal, whether it is to have your book globally recognized or only to be delighted to see your name on a book cover, to be read by friends and family. Never stop marketing your book. Self-publishing is fast becoming fashionable and my advice is to jump on this train. Currently I am planning the sequel, which begins with the horror of partitioning India and mass immigration. I am also working on my blog. A fiction writer who believes in passionate, historical writing. Please visit my site, malikagandhi.wordpress.com, where you will find more information about the book – where to purchase it, a little about me and my recent blogs surrounding Indian Independence, which is the base of my story. It is currently available as an e-book on Amazon Kindle and will be coming soon as a print book to all major bookstores such as Amazon, Barnes & Noble, Waterstones and WHSmiths.